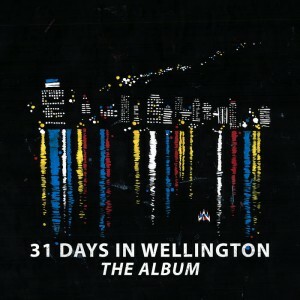 Title: 31 days in Wellington : the album. Zoe Elliott and Tim Vaughan-Sanders are the couple that have created 31 Days In, where they spend 31 days in one location on 31-day months – painting a new artwork each day. Last year they spent August in Barcelona, October in Western Australia and March in Wellington – Tim’s home town. The Wellington project was extended to include 31 tracks from local bands and musicians, who submitted a track which gets paired to their art for that day to raise funds for food rescue organisation Kaibosh. Red is for the Cuba / Andrew Laking — Sojourn / Glass Vaults — Who they say you are / A Girl Named Mo — Magic cocaine / Maple Syrup — An additive identity / Shuedet — Cannibal Jack / Wellington Sea Shanty Society — Warrior / Israel Starr — Sweet kisses/Silver flowers / Fraser Ross — Together forever / The Polly Johnson Set — Eighties game in a nineties arcade / Jet Jaguar — There’s a devil creeping up on me / Finn Johansson — The drop / Chris Tse — Jack of no trades / Daniel McClelland — Chase me too / Chambres — Dance / yosh. Seashells / Echo Beach — Battered old ship / LOST BiRD — A blow upon a bruise / Étienne de Silhouette — Ocelot / Cosimo — Los caminos de la vida / Carlos Navae — Uranus / Terror of the Deep — Universe / Kat McKenzie — Shine / Towers — Overland / Rosy Tin Teacaddy — Dead man walking / Roseneath Centennial Ragtime Band — Sun set strip / Full Moon Fiasco — Lean / French for Rabbits — When you find that love / Timothy Blackman — Binge drinking & DH Lawrence / Lake South (feat. 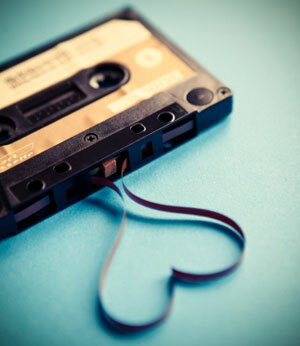 Nadia Reid) — Desert of the real / Electric Wire Hustle — Coastline / The Andy Gibson Project. From B-Side Stories, a blog that celebrates the unsung heroes, rebels and enthusiasts who shape the fabric and flavour of Wellington.